Affectionately known simply as "Rufijis", the Rufiji™ Explorers all started with a trip by Safari Steve to a small leather and shoe manufacturer in KwaZulu-Natal, South Africa. Steve was looking for one pair of shoes that was suitable not only for safaris, but also to wear at home, on the high street, at work, at play, in the pub, and on expeditions. He did not find what he was looking for, but the challenge of creating such a shoe excited him, so he sat down with the master cordwainer at the small leather and shoe manufacturer and set about designing the Everything Shoe. Now handmade from suede cow hide by the same small team of highly skilled craftsmen and women, Rufijis embody our SafariLife philosophy. 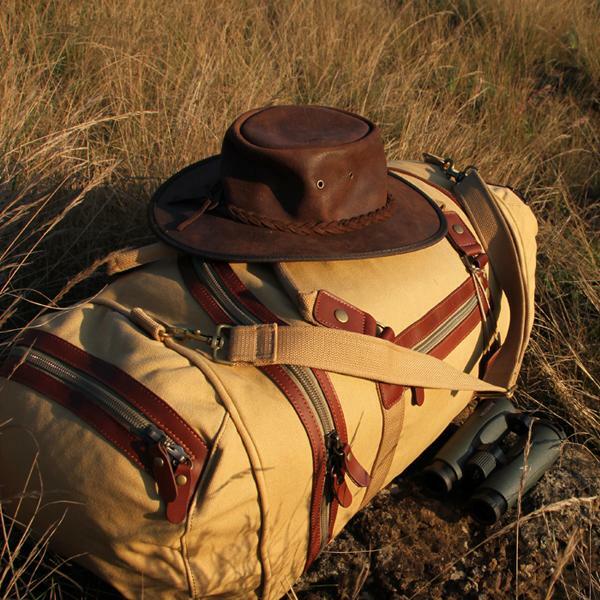 SafariLife is all about the crossover between our day-to-day lives and our passion for the outdoors. It is a connection, a link, which we all need in our everyday lives. We believe that you will not only walk many miles in your Rufijis, but that you will experience the diversity life has to offer every day. 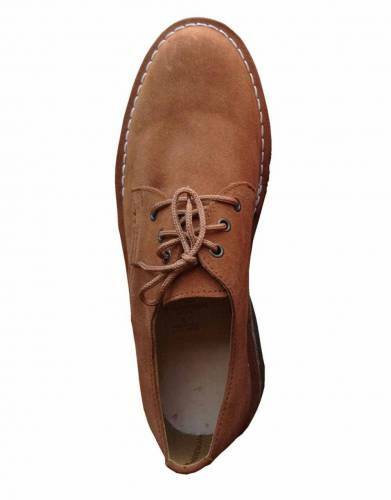 These shoes are styled with a thinner sole to suit your preferences. Sole: Sole is from crepe. This is not the natural crepe. And more: Eyelets are made from steel with an antique brass finish; Braided flat laces. Sole thread is a braided 1 mm thread. 2. The clicking process: the top part of the shoe or the upper is made. 3. Closing: here the component pieces are sewn together by highly skilled machinists to produce the completed upper. 4. Lasting room: the completed uppers are moulded into the shape of a foot with the help of a "Last". A last is a plastic shape that simulates the foot shape. 5. The finishing department: this is where the shoes are trimmed, filed, brushed, and cleaned. 6. The shoe room: here your Rufijis are checked for quality, laces are put on, and they are packed. In an age of mechanisation, products created in the hands of talented artisans speak to an appreciation of quality and attention - tailoring not only fine shoes, but also a story behind what you choose to wear. 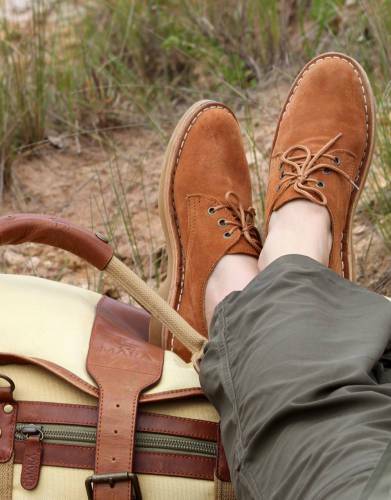 The materials of our Rufiji™ Explorer Safari Shoes are handled with the attention and expertise of skilled craftsmen to create special, strong footwear in natural materials that will be right at home on safari and outdoors, as well as a stylish focal point in urban environments. By purchasing Rufiji™ Explorer Shoes, you are also supporting African shoemakers in providing them with livelihoods. Your purchase also assists with the education and supply of stationery, sports equipment, clothes, and transport to 15 children from a nearby community. 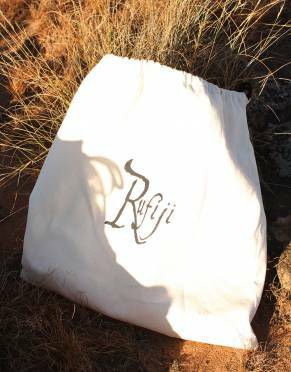 Your Rufiji™ shoes are packaged in a re-usable canvas drawstring bag. At The Safari Store, we are working hard to eliminate plastic from all of our packaging. This forms part of our commitment to a green future and the preservation of the environment, so future generations can enjoy pristine natural spaces. 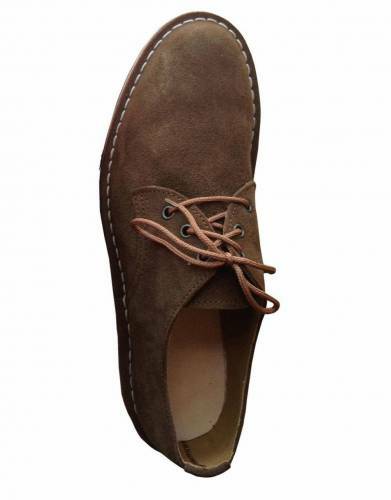 ⊙ MATERIAL: These shoes are made from comfortable cow suede hide, calf lining, and leather in-sole. 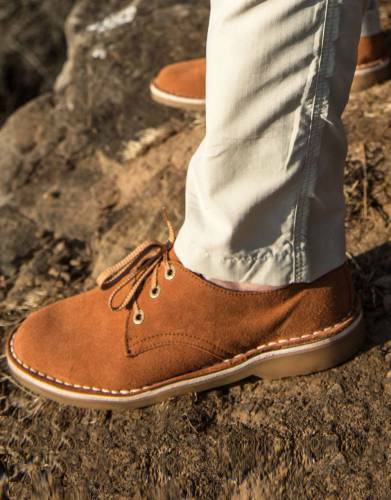 The thinner sole of these shoes is made from non-natural crepe. 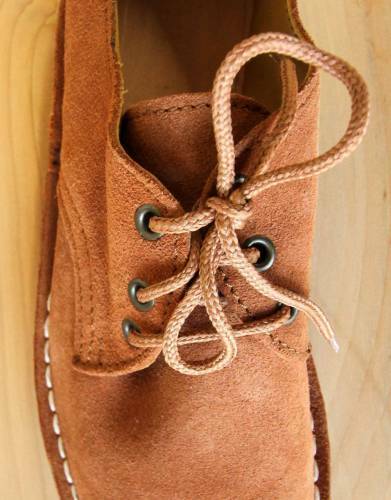 ⊙ LACES: The braided flat laces make for a secure fit and contribute to the overall look of the shoes. 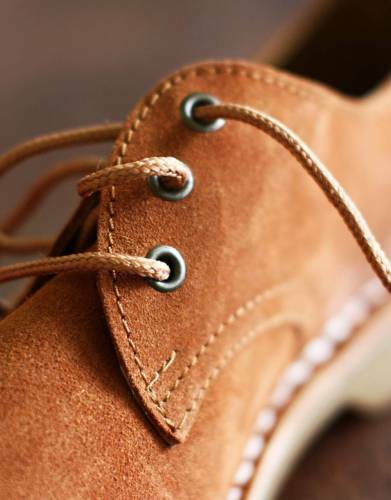 ⊙ EYELETS: The steel eyelets have an antique brass finish which complement the natural safari styling of the shoes. *Please do check our size chart to get the correct fit for your Rufiji™ shoes. 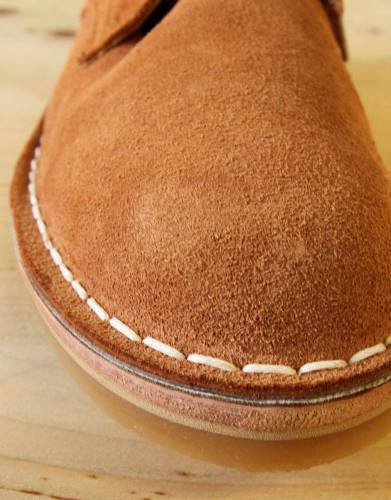 ⊙ MATERIAL: These shoes are handmade from comfortable cow suede hide, calf lining, and leather in-sole. The sole is made from non-natural crepe. Please read our guide below before you order. Three easy steps to ordering the right size: With so many different brands from all over the world available on the high street and online, the only way to get your size right the first time round is to use our unique sizing guide for shoes. Please note that this is a guide meant to assist you as much as possible, but we do acknowledge that peoples feet really do vary tremendously and so please treat it as a guide, not as hard and fast for all feet across the world. STEP 1: Remove the inner sole of a similar pair of shoes that fit you comfortably. Be sure not to damage the shoe in doing so. 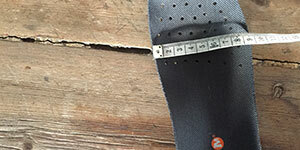 STEP 2: Measure the inner sole from the heel to the tip of where the big toe will be. This will be the length of the inner sole. 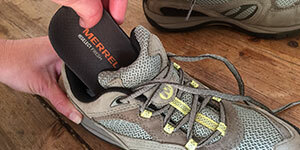 Measure the widest part of the sole. This will be the width of the inner sole. Tip: If you do not have a measuring tape, use your credit card. The long side of a credit card measures 8.5cm and the short side is 5.4cm. Simply use the centimetre measurements on our chart and divide by 8.5cm to get an idea of how many credit card lengths equals the measurement you are recording. 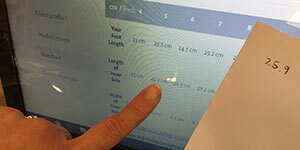 STEP 3: Compare your measurements to our size chart and choose your size accordingly. NOTE: For sandals simply do the same measurements on the sole of the sandal.